The political prisoner was recently released from punishment cell, where he stayed for 10 days allegedly for "a uniform violation"
On March 18, a Ukrainian political prisoner Oleksandr Kolchenko, who was illegally sentenced in Russia, was visited by a lawyer who works under an agreement with the Ural human rights group in the penal colony No. 6 Kopeisk (Russia), human rights activist Tatiana Shchur reported on Facebook. “Sasha has been kept in punishment cell since March 8. He was placed there for 13 days for allegedly unescorted movement precisely in those places where he and other convicts, as a rule, are free to move unescorted, like the library,or the dining room," it was reported. She noted that putting him in punishment cell is a formal reason to punish the convicted person, it is used only when it is beneficial to the higher-ups. 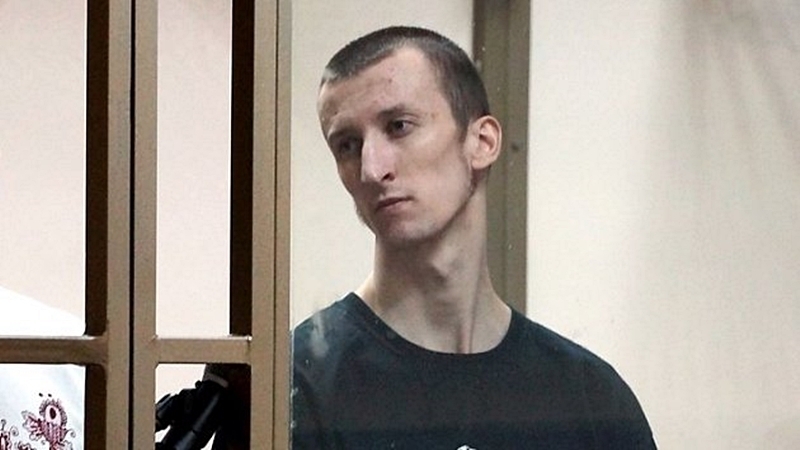 Kolchenko was recently released from punishment cell, where he stayed for 10 days, for "a uniform violation". The political prisoner allegedly did not sew a tag with a name to clothes, which temporarily replaced his uniform. "And in general, Sasha is fine, he does not complain about anything, sends greetings to all and thanks for supporting him," the human rights activist wrote. Earlier, Oleksandr Kolchenko was transferred from the hospital to the colony. The medical check "was a response to the demand of the Consulate General of Ukraine to provide Kolchenko with medical assistance after reports of a deterioration in his health." In November 2017, the mother of Oleksandr, Larissa Kolchenko, said that the condition of her son, who is being held in prison in the Chelyabinsk region (Russia), had deteriorated. In August 2015, a court in the Russian Federation found Oleg Sentsov and Oleksandr Kolchenko guilty of allegedly creating a "terrorist organization" in the Crimea, committing two terrorist attacks and plotting another one, as well as in an attempt to acquire explosives and illegal storage of weapons.